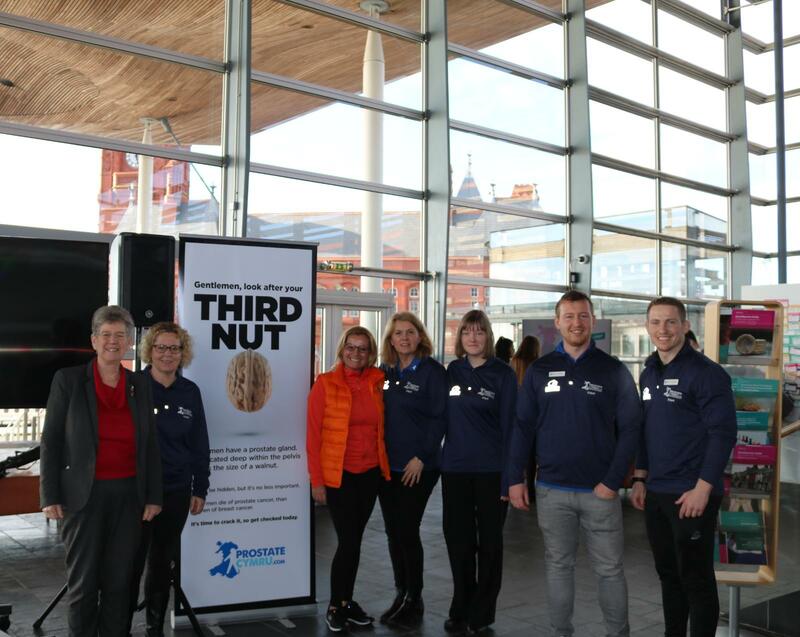 Prostate Cymru teamed up with twenty-eight charities and organisations on Monday 4th February for World Cancer Day at the Senedd, Cardiff Bay. The get-together and photo was a show of unity against cancer and to raise awareness of the many forms of the disease. 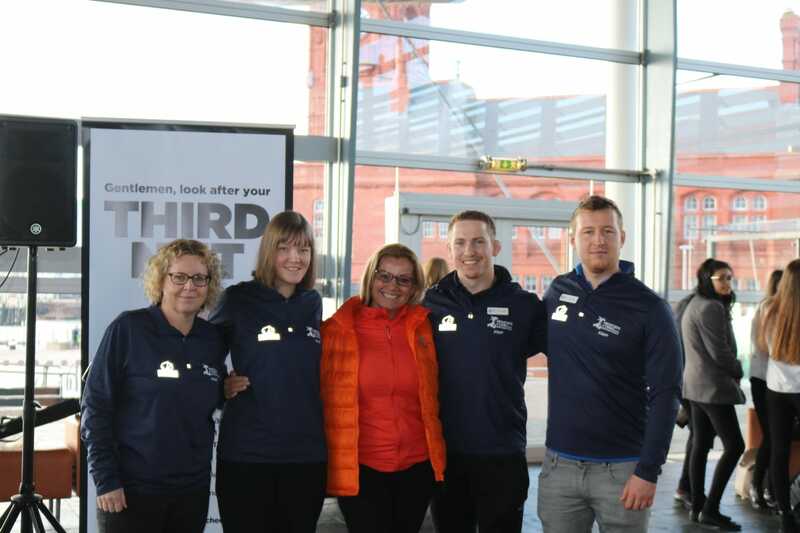 It was organised by Soraya Kelly who started #TheGlovesAreOn campaign in 2018. Soraya was diagnosed with breast cancer in October 2017. Luckily for Soraya, the cancer was detected early and was treatable. 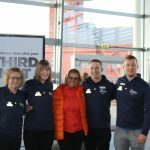 This spurred Soraya on to create The Soraya Kelly Foundation and later #TheGlovesAreOn campaign to raise awareness of different types of cancer in the hope that more people will be proactive about their health and catch it early. 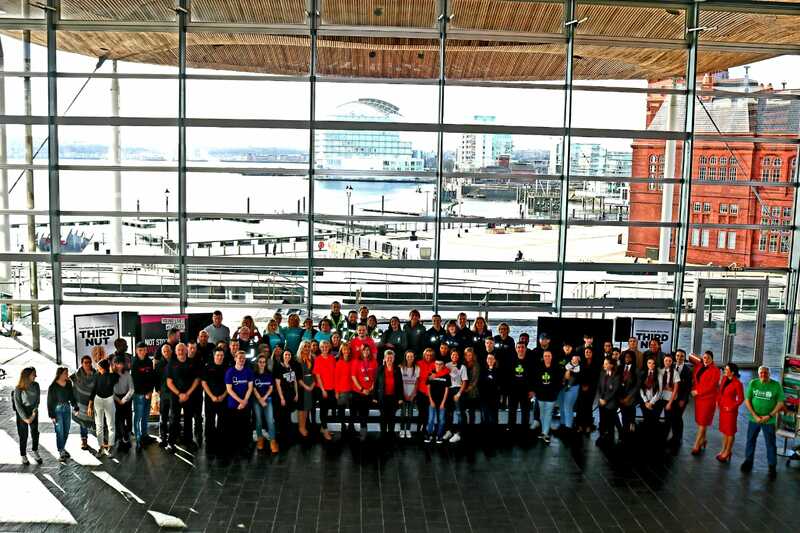 The campaign works specifically with universities, schools and colleges to generate awareness of serious issues such as cancer and mental health that affect both adults and young people. It is hoped that the young people will be able to share this information with their families and work collectively to improve the lives of those in their community by raising awareness.